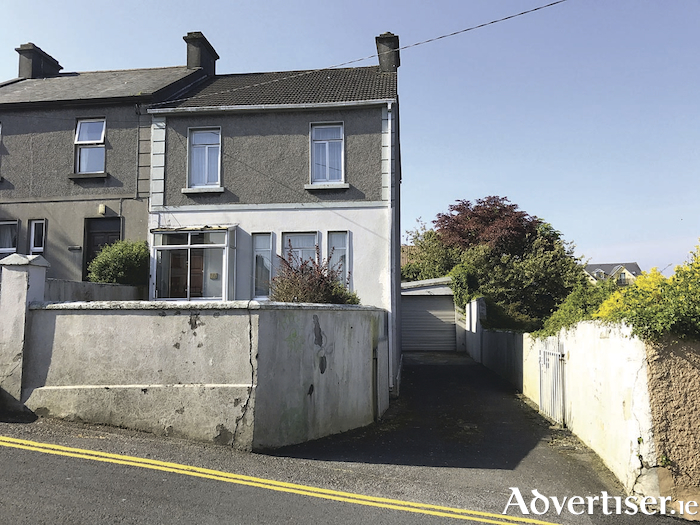 Mullery auctioneers is currently offering for sale an exceptionally well located four bedroom semidetached residence, ideally situated on St Bridget’s Place in Galway city centre. St Bridget’s Place is located just off Prospect Hill. The superb location is adjacent to all conceivable services and amenities, including Galway Shopping Centre, Eyre Square, and Shop Street. NUIG and UHG are also located within easy walking distance. Number 11 boasts well-proportioned accommodation comprising entrance porch, hall, living room, kitchen, utility, four bedrooms, bathroom, and a very large garage with vehicular access. Outside to the front is an enclosed garden with a driveway to the side, leading to the garage. To the rear is a garden with a southeasterly aspect incorporating a lawn and a large garage of concrete construction with an electric vehicular roller door and pedestrian doors. This well located residence is likely to appeal to a broad audience including those seeking a city centre home, those with family attending the university, and investors seeking a well located investment with enormous potential. Full details are available on www.mulleryauctioneers.ie or contact Michael Mullery, Mullery auctioneers, on 087 2541981/091 567275.